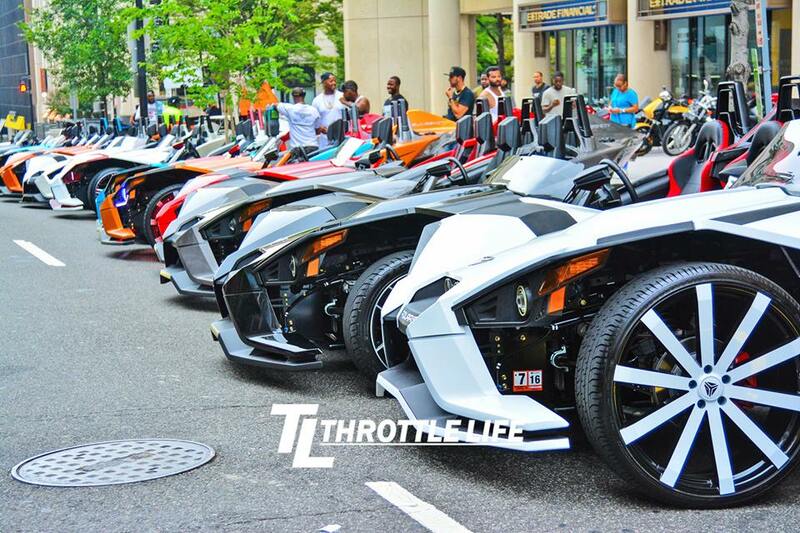 DMV Slingshot Takeover | Throttle Life! 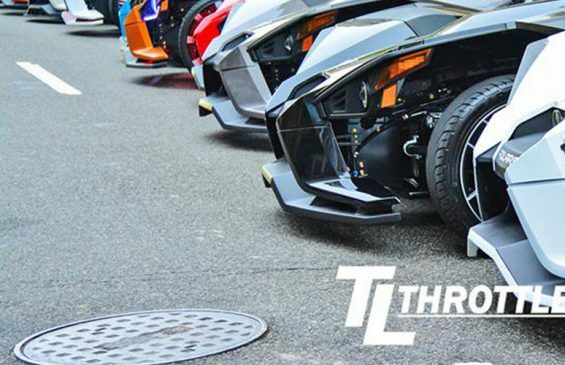 The Polaris Slingshot hit the ground running when introduced in July of 2014. With relatively few dealerships initially, the mystery and allure of this vehicle spread like no other has in recent years. With the population quickly growing, the streets are buzzing with interest and captivating consumers. Slingshot gatherings are taking place throughout the nation, with the east coast showcasing some of the wildest custom Slingshots around. Washington D.C. hosted an end of summer “Slingshot Takeover” organized and well executed by entertainment promoters and Slingshot owners @TableBoyz & @CleanCashPeezy — as they are so commonly known via their following and Instagram monikers. This gathering of three-wheeled winged beasts was a bit different from others as it involved the full weekend rather than the usual day events. Slingshot owners descended upon the Nation’s Capital from New York to Atlanta to take part in this monumental event. The weekend started out with a group-ride organized by Coleman Powersports with a convoy of Slingshots thru scenic DMV routes on a magnificent summer’s day. That following Saturday, Slingshot riders took to the streets to explore D.C. while putting on a show for the tourists and locals alike as they cruised the streets in droves. Sunday was the grand finale with more Slingshoters’ from New Jersey, Delaware, Pennsylvania, Baltimore, Virginia and of course the hometown of D.C. joining in with all roads leading to “Cities Restaurant and Lounge” in downtown D.C. The vibe and energy was electric as a bevy of Slingshots and bikers shut down the block upon their grand arrival lining the streets with custom Slingshots as far as the eye could see. It was a phenomenal experience to participate in such a historical event of which I’m sure many more will follow. Whether on 2s or 3s, the comrade shared amongst riders and enthusiast is what fuels the industry and community. Events as the DC Slingshot Takeover absolutely enriches this experience and sub-culture. A huge thanks of appreciation to Eagle Rider DC for supplying us with a Polaris Slingshot SL to experience the Takeover first hand. We highly recommend Eagle Rider DC to explore all of your motorcycle fantasies with their extensive fleet. For more photos see our Throttle Life Facebook gallery. Ride safe and Enjoy.